The sun scorches one half of the world, while the other half freezes to death. There are flurries and snowstorms in countries where they don't belong. Other countries can fry an egg in their driveways - driveways that they should be shovelling by now. Nobody has to tell you that the Earth is messed up. Poisoned by humanity. You can make the argument that all we can really do, for the Earth right now, is put her on life support and pray for the best. Is it really too late, though? I mean, anybody who hasn't been living under a rock the past couple years knows the significance solar energy has in reducing our carbon footprint. As if all of this weren't enough, on July 12th, U.S. state California's use of solar power pushed electricity to 2 million homes - letting California break yet another record in this arena. At the atomic level, the direct conversion of light into electricity is called Photovoltaic. Properties known as photoelectric effects absorb photons of light, releasing electrons. Add in the fact that a number of the world's strongest innovators have been directing their talents (and pockets) towards stream-lining methods for alternative energy. Sun, water, and shelter. These are 3 things of the utmost importance for our very survival. Unfortunately, humanity has the sun in a rear-naked choke hold. And we aren't letting up. The sun isn't going out without a fight. 200 exp 16 atoms make up planet Earth. That's a lot of atoms that we've put at risk. Thanks to our air conditioners (which contain cooling agents) that play their part in obliterating our ozone layer, power plants (for coal, oil, and gas), and other detrimental aspects (automobile congestion in some of the world's most over-populated cities)... We've thinned out the protective layer that separates the Earth from the sun's scorching, harmful rays. And we're more susceptible to them. How? Take the fact that many farmers spray their crops with pesticides (just one form of pollution) - a chemical that keeps insect infestation off their crops. But, you may already know that those pesticides can't be washed off the produce. Which "happily" finds itself on the foods we use to feed our families. All of those juicy, delicious pesticide/poison in our mouth? Mm, mm, good! When you think solar power, you think savings. That's just the way it is. Effectively cutting out the need for greenhouses and power plants, solar power relies on one thing: the SUN. Solar panels convert the sun's energy into effective electricity: helping us rely a lot less on power plants. In fact, the IEA (International Energy Agency) said in 2014, that they think solar photovoltaics and concentrated solar power would contribute between 11-16% of the world's electricity consumption by 2050. And it's easy-as-pie to see why: installing flat solar panels on rooftops would generate 90%+ of the maximum output of electricity. In 2008 a programme (set by the EU) kicked off to generate 15% of electricity, from nothing but renewables, by 2020. With that year slowly cruising around the corner, it's easy to see how this programme developed over the years. Rates and installation costs of solar panels have dropped over the years. In 2016 installing solar panels with an estimated output of 3,400 kWH cost around £5,500 - £8,100, while in 2010 the same output cost £15,000. That's huge saving in just 6-years span. Until 2011, solar power played a tiny part of electricity in the UK. Internationally, the UK now sits in 6th place for total installed capacity. No surprise there! In 2011, Newark-on-Trent in Nottinghamshire claimed the title for the largest solar park in the United Kingdom. At least, it was until March 2015 when the largest solar farm, The 48 MW Southwick Estate, was the largest in the UK. Within eight years, the government said that 4 million homes will be powered by the sun. That's a whopping estimated 22,000 MW of installed solar power, by 2020. 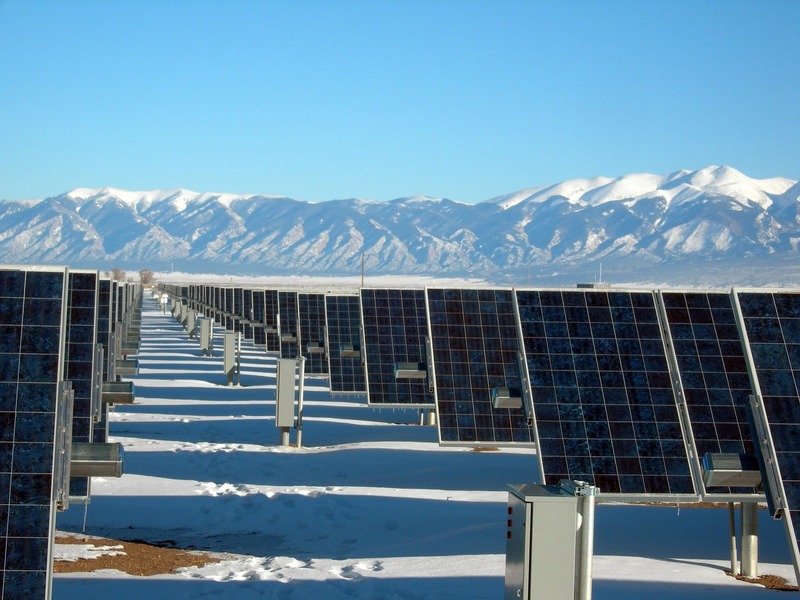 Meanwhile, across the pond, the U.S. solar industry's employed more than 175,000 MW. WAY more than coal or steel industry. Speaking of the U.S. solar industry, it's also the only industry in the U.S. that's 10x faster than the country's own economy. Plus, America has 4 of the 10 largest solar photovoltaic power plants in the world. The Solar Star takes top spot with 579 MW (megawatts). The Charanka Solar Park in India will output 500MW when it's done. In UK, there's never been a better than right now to install solar photovoltaics for generating electricity. Because, the Department of Energy and Climate Change, set the FIT rates at 41.3p/kWH in 2010, which in 2016 has dropped to 4.39p/kWH. This is an ideal time & opportunity to make more profit with less investment! Lead researchers in the fight for solar energy estimate that the sunlight produces 10,000 times more power than the Earth used, at the 21st century's mark. To give you an idea of how much energy was consumed back then, each person in the U.S. (alone), in 2011, consumed about 313 million Btu (British Thermal Units). The rest of the world consumed roughly 75 million Btu. You don't have to imagine how high our Btu was two decades ago, before we harnessed the awesome power of solar energy and living green. Just further evidence what an impact solar energy has, as more and more people implement solar energy into their lives. All we can do is pray that the movement isn't too late.